Discussion in 'Patriots Draft Talk' started by patchick, Apr 2, 2019. Interesting...I see OT a little higher than most do, and I'd also add OG and LB to class B since Joe Thuney and Kyle Van Noy are also in their final contract years, and who knows if Hightower will be here in 2020. Then there's QB, but nevermind. I don't disagree but we won't be able to fill all those positions with starters/future starters this year. Imo we should concentrate on 2019 roster holes in this years draft and look for QB/LB/OG in 2020. Drafting is hard enough without intentionally passing on a better player because you want to fill an immediate need. Belichick’s rant on this topic last year was pretty great. If Gronk had retired last year and the Patriots had drafted a tight end “for need,” then either Hurst at 23 or Gesicki at 31 would have gotten A+ grades all around for filling the immediate need. They both had less productive seasons than Matt freaking LaCosse. I don't think that's what anyone is talking about. But last year we lost an OT, RB, and CB in free agency, and wouldn't you know it, those were our first three picks! Obviously it's a more nuanced process than just matching your highest graded player in each position of need, but it's still worth considering your team composition when you draft. I hate the idea of just drafting for 2019. Sure, the gaps on the roster need to be filled, but we have 12 picks, an ageing squad in a number of areas and this is a pretty unique opportunity to build the next generation of the Patriots. I don’t want that opportunity to be lost. 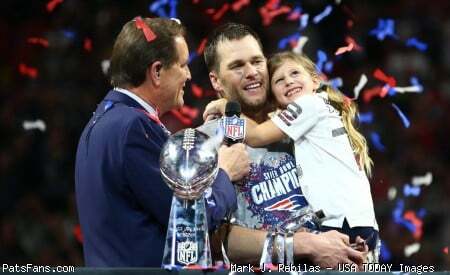 IF Bill plays his cards right, then the opportunity to build the next generation of Patriots shouldn't be lost, because not only will he be drafting for 2019, he'll also be drafting for 2020-22. Besides, some of the positions which we're advocating be addressed early & often this year - DL, WR, TE, OL, DB - are positions that should be addressed every year anyway if we have merely an average number of picks. The main question therefore is: which positions receive priority when other factors - BPA, value, current roster makeup - are taken into consideration. For example, when it's your turn at 32, do you draft Chris Lindstrom because you fear the likelihood of Thuney leaving next season, or do you draft a similarly-rated player such as DLmen Simmons, Lawrence or Tillery? Last season the answer might've been Lindstrom; this season the answer might very well be one of the DLmen. Besides, some of the positions we're advocating be addressed early & often this year - DL, WR, TE, OL, DB - are positions that should be addressed every year anyway if we have merely an average number of picks. I take the best player available that fits on the roster. If you have Simmons, Lawrence etc graded higher than Lindstrom (and most would), they’re the players you take. And it’s not as though DR isn’t a need with only two on the roster. you need to consider both. so choose between them. Don't reach. Prefer WR/TE/DL because they are more urgent needs but if there is a clearly better player available at safety take him. Exactly. Best player available at a position that solves a roster issue. early on to replace McCourty and Thuney. Pretty confident we’ll see at least one of them before the end of round three and probably earlier. I think the first round is up in the air. I could see a trade up for Hockenson Imaybe Fant), I could see an OL, a DT and possibly even a WR like AJ Brown or N’Keal Harry. There’s a number of safeties available in round two that could be on the radar who might fall to 56 so I wouldn’t rule out safety there. But at 64 or with the three 3rd round picks, I’d be amazed if one of those isn’t a WR or TE if they haven’t already picked one up. I hope you're right but BB sometimes does things that defy logic. That’s true but there are degrees of defying logic and the first WR/TE late on day three is almost too far beyond the pale for me to think it, in any way, possible. If we were short of picks then possibly, but with 6 picks in the first two days, I just don’t see it. A corner that might play some backup safety is also possible. Ditto for a guard who can play some swing OT. We need a swing OT this year, a backup safety. Next year we are likely to lose Jones, as well as McCourty and Thuney. Interesting numbers here. My guess is that in previous years, going after that elusive "best player available" was a solid strategy. Now free agency is so expensive that drafting for "need" instead seems like a smarter plan -- buttressed, of course, by low-mid level FA signings and trades for veterans on reasonable contracts. Sounds like the Patriots M.O. to me. Yup, it seems very right to try to draft a 2020 0r 2021 starter at S, OG and LB. This is in addition to the 2019 needs at DT, TE, and WR (some of which will be met by signing or trading for vets). Even this ignores the likelihood that Jones will need to be replaced. Thanks, that makes me feel better about our draft history. I think I’m right in saying, following a quick scan of our draft history, that 2010 is the only year we bettered 2* (McCourty, Gronk, Hernandez). Building through the draft is a relatively short-term concept.